The question of reducing the use of palm oil in order to prevent human rights violations, the destruction of nature and potential health threats while maintaining the world’s economy. Nutella, Milka or even Nivea – all of these products contain palm oil; a vegetable oil gained from the fruits of oil palms. It is contained in more than 50% of our foods, but also cosmetic products, cleaning agents and even biofuels include palm oil making it the world’s most essential oil resource. The qualities of palm oil are enormously beneficial to the economy turning it into an almost irreplaceable natural resource. However, the production and consumption of palm oil bring numerous economic, social, sanitary and environmental challenges to our world. Palm oil plantations can only be created in humid-warm regions and therefore several rainforests are stubbed and burnt releasing large amounts of carbon dioxide into the atmosphere. Additionally, the living space of animals such as orangutans and Sumatran tigers are being destroyed causing them to be expelled and in danger of extinction. Besides environmental issues, the work on these plantations leads to various social challenges like human rights violations because children are exposed to hazardous child labour and international working conditions are violated. Moreover, products containing refined palm oil are supposed to cause cancer and have a genotoxic effect since the manufacturing of this oil leads to the creation of toxic substances. Abolishing palm oil would be a gigantic humanitarian step, but it would lead to a worldwide breakdown of the economy. Consequently, it will be your task as delegates to find appropriate measures that solve the social, environmental and sanitary issues, but at the same time maintain the world’s economy. my name is Miriam, I´m 16 years old and attend the 10th grade at the Hermann-Böse-Gymnasium in Bremen. I have already participated in ELMUN 2017 and MEP 2018, where I discovered my passion for political simulations. Now, for my second time at ELMUN I'm very excited to chair the Economic and Social Committee together with Janos and Emal. I´m looking forward to heated debates and a great time with you! My name is Janos Gründling, I am 18 years old and currently attending grade 11 of the Hermann-Böse Gymnasium in Bremen. After having participated in several political simulations, such as MEP, SPUN and ELMUN, as a delegate, ELMUN 2019 will be my first time as a chair. I am looking forward to hot-tempered as well as respectful debates that will help you to gain knowledge and understand different perspectives. Being part of a great team, I am convinced that ELMUN 2019 will be unforgettable, so do not miss your chance! my name is Emal Zemmar, I am 18 years old and I currently visit the 12th grade at the Hermann-Böse-Gymnasium in Bremen. In my free time I enjoy swimming, drawing, doing martial arts or just meeting friends. When I participated in my first ELMUN conference as a delegate of Austria, I discovered my passion for political simulations. Ever since then, I also took part in several other political simulations such as the MEP or THIMUN. I did not only gain a lot of experience and confidence, but I also got the chance to have and express my opinion which is really amazing. 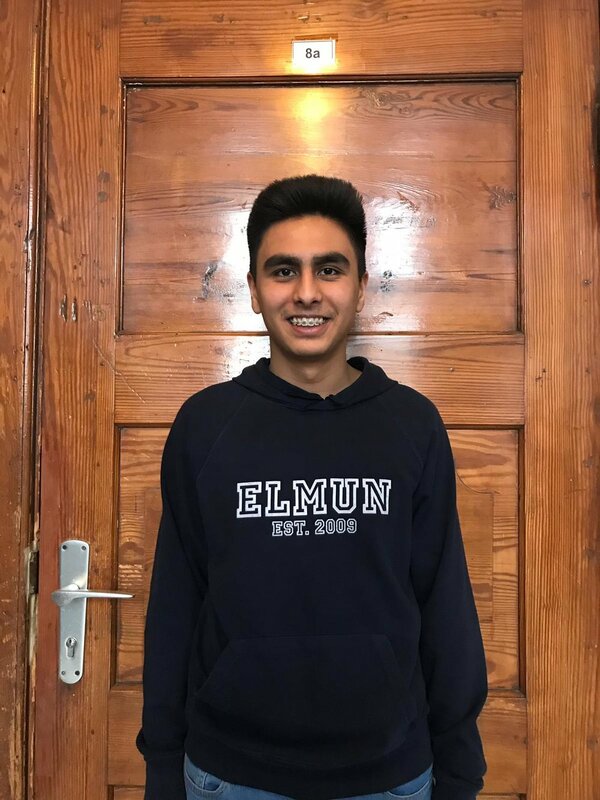 ELMUN 2019 will be my fourth and last ELMUN conference overall and I will be chairing the brand new ECOSOC together with Miriam and Janos which is a great opportunity for me. I am looking forward to meet and work with all of you and hope that you will have an unforgettable conference. In case you have any questions, please do not hesitate to ask me. I would love to help you!